Trump warns China that the U.S. will act alone on North Korea if need be. 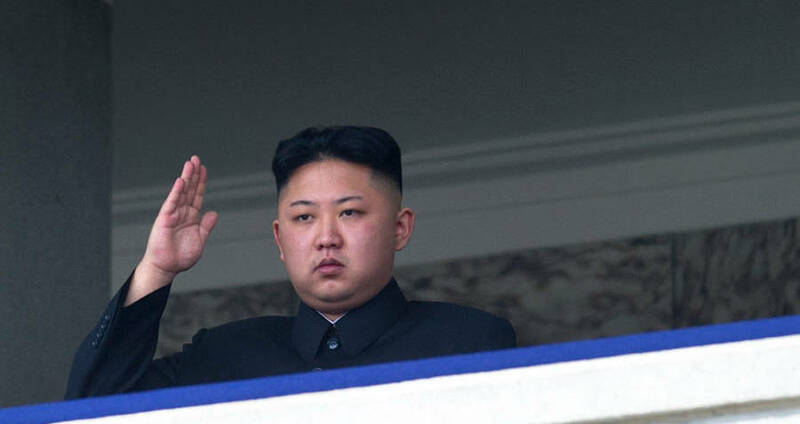 Ed Jones/AFP/Getty ImagesNorth Korean leader Kim Jong-Un salutes as he watches a military parade to mark 100 years since the birth of the country’s founder and his grandfather, Kim Il-Sung, in Pyongyang. Donald Trump has had it out for China for some time now, and it looks like that sentiment applies to the nation’s relationship with North Korea as well. In a recent interview with the Financial Times (FT), President Trump said the U.S. may handle the North Korean nuclear threat by itself if the Chinese government does not cooperate. Trump’s remarks come just before Chinese President Xi Jinping travels to Florida to meet with Trump at his Mar-a-Lago estate — and after his administration predicted that North Korea will be capable of launching a nuclear strike against the U.S. in the next four years, or over the course of his presidency. Should China not abide, Trump told the FT that he is not opposed to pulling U.S.-China trade purse strings in response. Trump’s proposed strategy follows a review of the situation by Trump’s national security aides. They concluded that increased sanctions and cooperation with China were the best ways to handle the North Korean nuclear threat, however a U.S. official told Reuters that it is unclear if the report was passed onto Trump. It is likewise unclear what effect the threat or implementation of economic sanctions will have. According to the Council on Foreign Relations, China is North Korea’s biggest trading partner, and main source of food, arms, and energy. Next, check out how North Korea became enraged after John McCain called Kim Jong-un a ‘crazy fat kid,” before finding out how female agents assassinated Kim’s brother with poisoned needles.